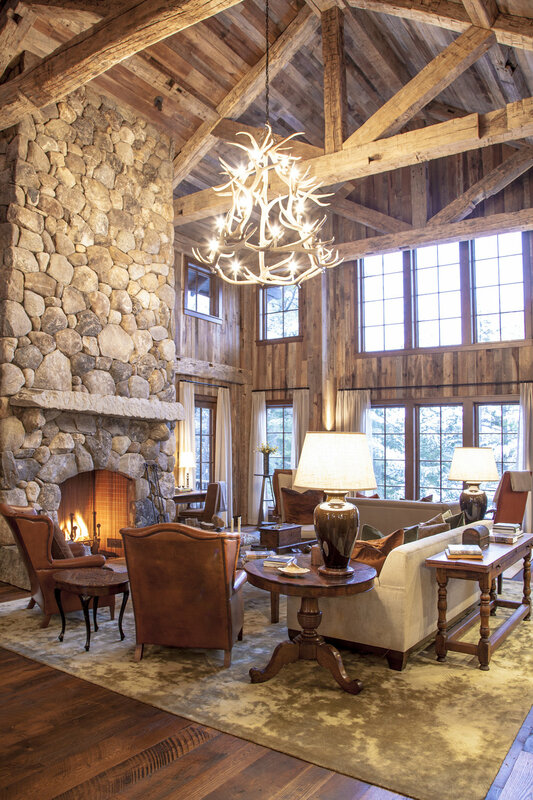 No detail in creating this quintessential Adirondack Lodge was left unturned. 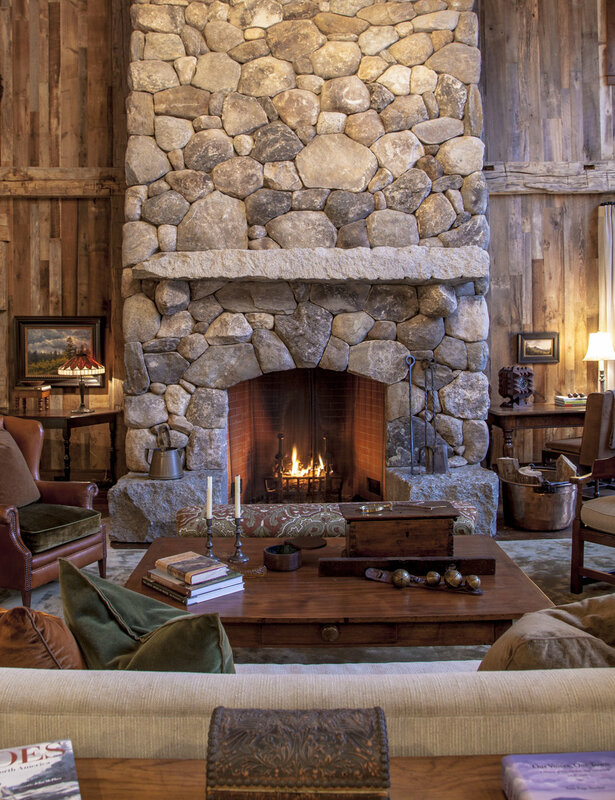 This magnificent log and stone home commands attention. Carefully chosen barn board siding used within the home contributes to lift the visitors eye vertically and add increased interest to the interior of the home. 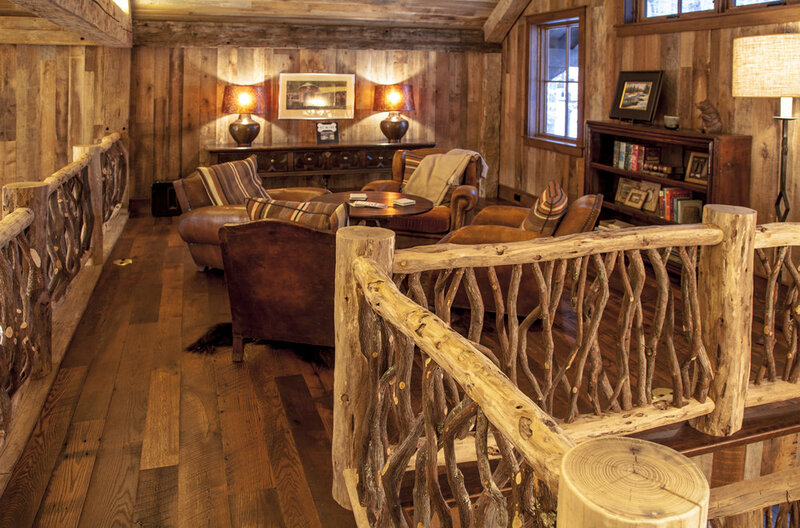 Every rail, inside and out, is adorned with twig balusters in keeping with the authentic Adirondack ethic. 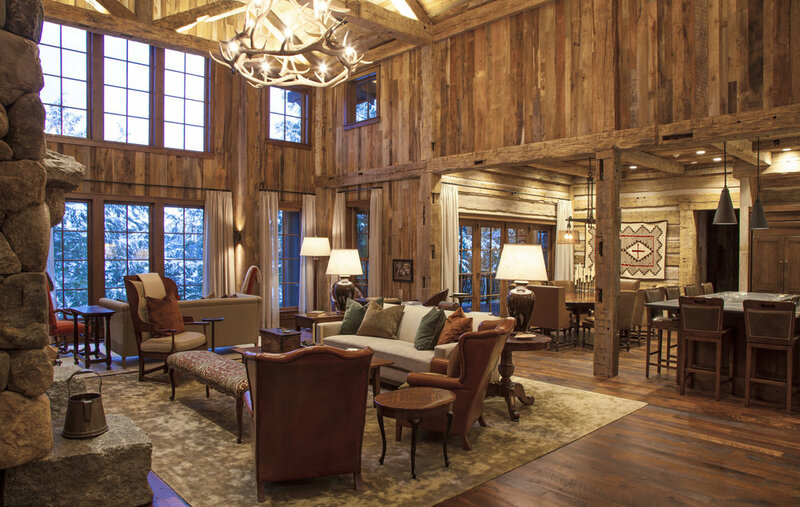 The massive stone fireplace and floor-to-ceiling windows take center stage in the grand cathedraled living space at the center of the lodge. Multiple exterior porches encircle the lodge allowing the guests to enjoy every aspect of the warmly wooded atmopshere.